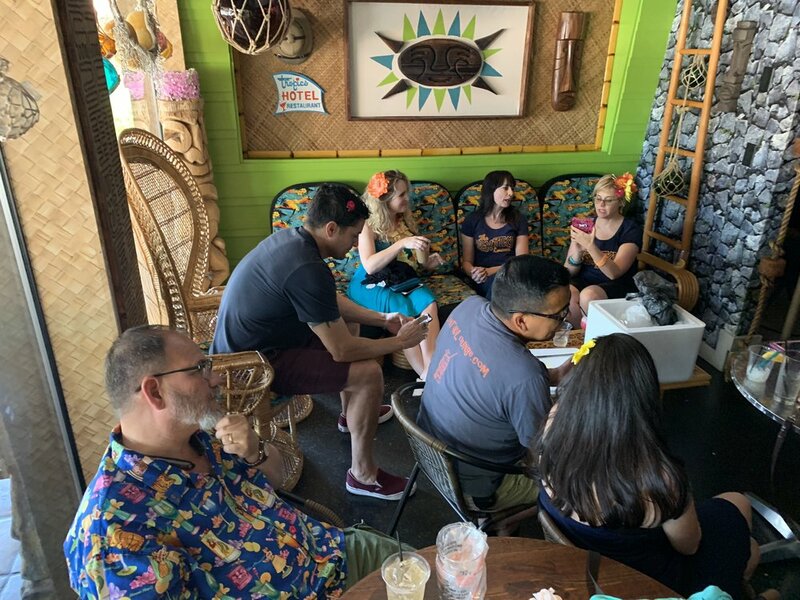 Aloooooooooooooooooooooha and Welcome to our much anticipated 400th podcast celebration recorded LIVE at The Reef Palm Springs @Caliente Tropics Palm Springs. Rory Snyder was gracious enough to allow us to host our very special celebration in his libation sanctuary The Reef. Fans, listeners and bar patrons joined us on a spicy hot Saturday to enjoy our top rated cocktail recipes along with meeting all four hosts of the ZTL podcast and a rousing game of “Whats In Kalani’s Bra?” The pictures below are just a few favorites that show the fun we had. As mentioned on the recording, this Skull Island cake was created by Michael Contos and devoured at one of room parties over 6 years ago. Michael is a creative talent with foods and unique presentation. We have enjoyed many tasty tidbits over the years courtesy of Michael and we look forward to more. Sunshines personal favorite are the peanut butter filled chocolate moai and as of this recording Peles Kiss ribs. Mahalo Michael. 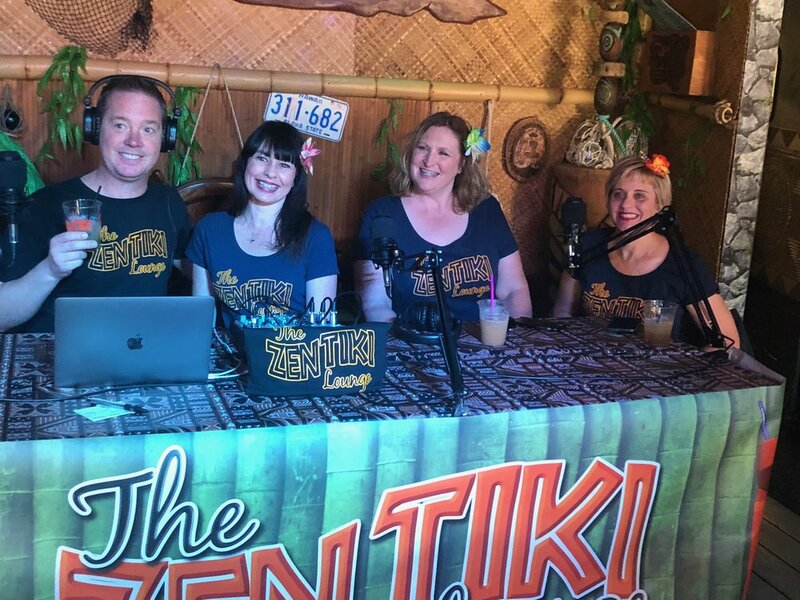 All of us at Zen Tiki Lounge podcast wear our Tiki Bar T shirt Club shirts proudly and boldly. 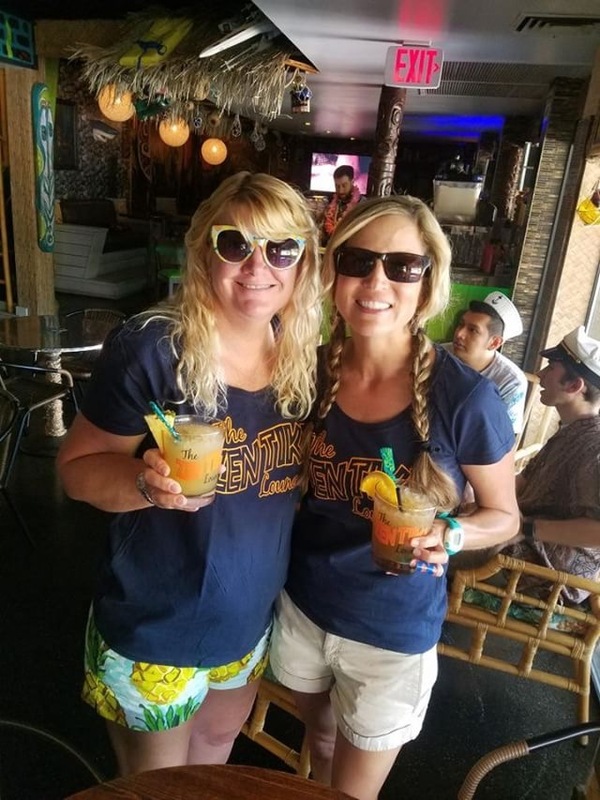 We could not have made it to 400 episodes without great friends and partners in the tiki community like Tiki Bar T shirt Club. Cheers and Mahalo!